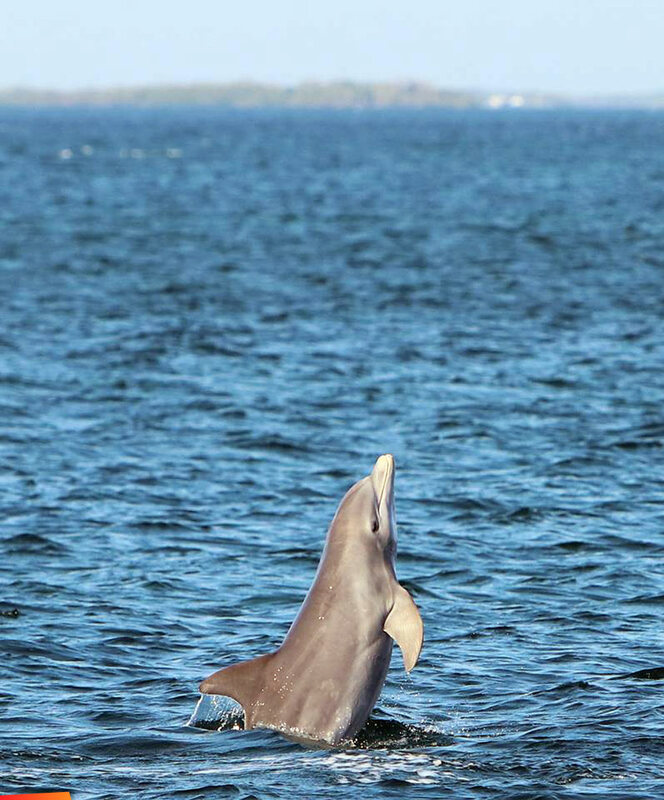 A juvenile female bottlenose dolphin shoots for the stars at Turneffe Atoll Marine Reserve. Sadly, she crashed right down onto the water. But she will continue to try... and she will make it eventually.